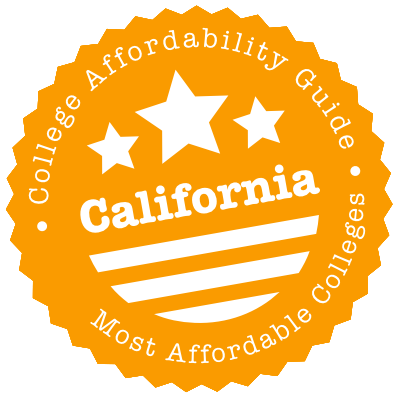 Scroll down to see our top-ranked colleges in California, loans and scholarships for California students, and advice on how to save money going to college in California. The fastest growing UC campus, with a 10 percent increase in the number of applicants each year, UC Irvine is a major research university that has been a driving economic force in the region since its founding in 1965. The prestigious Regents Scholarship is a merit-based scholarship given to incoming freshmen. The amount of this scholarship is determined from year to year. The UCI Alumni Association awards more than $85,000 in scholarships each year. In addition, there are several need-based scholarships in UCI including the Malcolm Stacey Memorial Scholarship (up to $3,000) and the Stanley Behrens Foundation Scholarship for Entering Freshmen ($2,500). The average Pell grant received by an incoming freshman is $4,700. From the world of science (Richard Heck, Nobel Laureate in Chemistry), to entertainment (Francis Ford Coppola, Academy Award winning director), sports (Troy Aikman, NFL quarterback) and many others, UCLA has given the country some of its most recognized and respected personalities. Fifty-five percent of UCLA students receive some kind of financial assistance. Up to 31 percent of freshmen receive Pell grants, with the average amount close to $4,500. The Miller/Shigemura Scholarship awards a minimum amount of $5,000 each year to incoming full-time freshmen with high financial need. The Stamps Leadership Scholarship covers tuition and fees for California residents who have been accepted to UCLA. Non-residents can have their tuition and fees covered in addition to a non-resident tuition supplement. From its unpretentious beginning as a marine research station (The Scripps Institute of Oceanography) at the turn of the century, the University of California in San Diego now has six undergraduate colleges, five academic divisions and five graduate and professional schools. Around 60 percent of beginning UC San Diego undergraduates receive financial aid from government and university funds. The Chancellor's Scholarship for Entering Freshmen is a merit-based scholarship that awards up to $5,000 per year. The Ellen and Roger Revelle Scholarship awards up to $2,500 per year to entering freshmen who qualify. First-generation college students are eligible for the Hispanic Scholarship Council Scholarship, which amounts to $5,000 per year for four-years. Starting out as the Riverside Citrus Experiment Station in 1907, UC Riverside is now a top-ranking research and educational institute and the only UC campus located in Inland Southern California. Incoming freshmen can expect to have up to 86 percent of their total financial need met through a combination of grants, work-study programs and loans. The average need-based grant is close to $20,000. Fifty-six percent of full-time beginning undergraduates receive federal grants averaging $4,700. The UC Riverside Financial Aid Office awards several merit-based scholarships to freshmen, including the Dr. Thomas Halsey's Chancellor's Scholarship and the prestigious Regent's Scholarship. The amounts of these awards are determined each academic year. The largest of the University of California's campuses, UC Davis is an eminent public research university with an undergraduate population of over 35,000 students pursuing degrees in 102 majors. More than $6 million dollars in federal and university scholarships are available to students each year. The Regent Scholarship is a $7,500 scholarship given to specially selected freshmen and juniors. An additional stipend may be granted with this scholarship for those who demonstrate a financial need. The Provost Award ($13,250 per year) is a merit-based award reserved for non-California residents who have been accepted to UC Davis to assist with out-of-state tuition costs. There are several endowed scholarships from different colleges as well as awards with restricted and unrestricted eligibility. The numbers of the University of California-Berkeley are nothing short of impressive - 170 academic departments and programs, 1,620 full-time faculty members, 276 degree programs, a 17 to 1 student-to-faculty ratio. In addition, UC Berkeley has a wide range of scholarships and grants designed to make attending the university an affordable option for accepted students. The Blue and Gold Opportunity Plan helps students with an annual family income of less than $80,000 to cover their UC Berkeley tuition up to their calculated financial need. The Regents' and Chancellor's Scholarship can award up to 100 percent of a student's assessed financial need. Through a combination of grants, loans and work-study jobs, the average freshman financial aid package is $24,444. With enrollment exceeding 35,000 students, California State University-Long Beach has one of the largest student bodies in California and one of the most diverse student populations in the Western United States. Grant or scholarship aid from governmental, institutional or private sources is provided to 55% of undergraduates, and intuitional grants or scholarships are provided to 40% of full-time beginning undergraduates. Some examples of institutional scholarships available at CSU-Long Beach include the President's Scholars Program, which provides merit-based scholarships to California residents who were high school Valedictorians or National Merit Semifinalists/Finalists, and the CSU Scholarship Program for Future Scholars, which provides need-based scholarships to California residents. Calling 1,055 acres on the picturesque California coast home, the University of California in Santa Barbara started out in 1891 as an independent teacher's college and joined the UC educational network in 1944. The UCSB Office of Financial Aid and Scholarships awards all scholarships on the basis of need. No scholarship is awarded based on merit alone. Each year the UCSB Alumni Association gives a number of annual scholarships to new and continuing students totaling almost $20,000. Forty percent of incoming full-time freshmen are Pell grant recipients, with awards averaging $4,500. There are departmental scholarships as well. The College of Creative Studies, College of Engineering, College of Letters and Science, Military Science and the Music Department all offer scholarships. On the hills above Monterrey Bay is a 2,000-acre campus that is home to more than 15,000 undergraduates pursuing excellence in their chosen fields of specialization. Seven out of 10 undergraduate students at the University of California in Santa Cruz receive some type of financial aid. Students receiving the Regents Scholarship ($20,000 paid over four-years) may still be offered additional financial aid if their need requires it. Scholarships awarded to first year full-time students by the UCSC Alumni Association ($9,000) are paid out over four-years. Gifted community college students transferring to UCSC are eligible for the Karl S. Pister Scholarship ($10,000 per year for two years). Non-residents can be considered for the Undergraduate Dean's Award ($5,000 to $30,000). California State University-Fullerton has the largest student body of all 23 California State University campuses and is the second largest university in the state of California. Cal State Fullerton gives out almost $2 million in scholarships and awards each year, with 33% of full-time beginning undergraduates receiving institutional grants or scholarships. Students at Cal State Fullerton are eligible for a variety of institutional scholarships, including CSU system-wide scholarships, university scholarships and scholarships through their academic department. California residents can also apply for state aid programs like the Middle Class Scholarship, the CA Dream Loan and Cal Grants. Federal aid like Work-Study and Pell Grants are available as well, with 41% of Cal State Fullerton undergraduates receiving Pell Grant funding. Founded in 1887, California State University-Chico is the second oldest campus in the California State University system. Most students attending CSU-Chico can expect to receive some grant or scholarship aid, with 46% of undergraduates receiving grants or scholarships from governmental, institutional or private sources. Institutional grants or scholarships are awarded to 33% of beginning undergraduates. CSU-Chico students can apply for institutional scholarships by completing the Chico Scholarship Application, which will make them eligible for both merit-based and need-based scholarships. Through the CSU Chico President's Scholarship program, the university awards nine $20,000 scholarships to academically outstanding incoming freshman. The California State Middle Class Scholarship is also available to California residents and can cover up to 40% of tuition and fees. California Maritime Academy in Vallejo, California is one of seven maritime universities in the U.S. that grants degrees. About half of all undergraduates at Cal Maritime receive grants or scholarships from governmental, institutional or private sources, while institutional grants or scholarships are given to 27% of beginning full-time undergraduates. The school offers three foundation scholarships, including the Western Undergraduate Exchange Scholarship, which allows students from the Western United States to attend the academy at reduced-tuition rates. State grants are available as well, including the Cal A Grant for low to middle income California students and the Cal B Grant for low-income, disadvantaged California students. Both the Cal A and Cal B grants offer up to $5,472 toward the cost of tuition. With its campus located in the Northridge neighborhood of Los Angeles, California State University-Northridge boasts numerous alums that are entertainment icons, including Cheech Marin from 1970s comedy duo Cheech and Chong and Alyson Hannigan from How I Met Your Mother. Of all beginning undergraduates at the university, 53% receive institutional grant or scholarship aid. CSU-Northridge offers institutional scholarships like the Matador Scholarship Program, which ranges from $500 to $8,000 and is awarded to over 300 academically excellent students with financial need. Other institutional scholarships include the Outstanding Graduating Veteran Award for former members of the armed services and the Honors at Entrance award for newly admitted students accepted to the General Education University Honors Program. Founded as Fresno State Normal School in 1911, the California State University of Fresno has offered advanced degrees since 1949 and is one of the 23 campuses in the California State University system. The average first year financial assistance package is $11,760. Students from the university's eight schools and colleges can apply for several foundational scholarships. Kremen School of Education and Human Development students may be eligible for the Charlotte J. Dandridge Memorial Scholarship or the Kremen School of Education Alumni Chapter Scholarship. Sophomore or junior students at the Lyles College of Engineering and Computer Science may be considered for the Col. Rick Husband Memorial Scholarship, while Music Education students can apply for the Pete Valentino Music Educators Scholarship. Founded in 1960, California State University-Stanislaus was ranked 55th in U.S. News & World Report's 2015 list of best regional universities in the Western United States. Institutional grants or scholarships are provided to 53% of full-time beginning undergraduates, and the university awards close to 300 scholarships to incoming and continuing undergraduate and graduate students. Numerous state grants are available to CSU-Stanislaus students, including the Pell Grant, Cal Grants, State University Grant and Supplemental Educational Opportunity Grant. The Pell Grant, for example, is awarded to 58% of undergraduate students at CSU-Stanislaus. The university also offers a short term loan program to help students with emergency educational and living expenses. California State Polytechnic University-Pomona is one of only two polytechnic universities in the state of California and has the second largest campus in the California State University system. More than half (51%) of all undergraduates receive grant or scholarship aid from governmental, institutional or private sources. Federal Work-Study and Federal Grants are available, with 44% of undergraduates receiving the Federal Pell Grant. Institutional grants or scholarships are provided to 36% of full-time beginning undergraduates. Cal Poly Pomona students can fill out the Bronco Scholarship Application to be considered for scholarship opportunities through academic departments, colleges, clubs and campus offices. Most scholarships are awarded based on academic achievement, talent, leadership or community service, although some are based on financial need. Established in 1989, California State University of San Marcos is the 20th campus of the 23-campus CSU System with approximately 12,000 students attending its 304-acre campus in northern San Diego County. Several foundation scholarships are available for CSUSM students, including the following: President's Circle Scholarship ($2,500), John Burnham Foundation Scholarship ($2,000), and the CSU Graduate Equity Fellowship ($1,000 to $2,000) for students who are underrepresented in their areas of study. Transfer students (junior level or above) may be eligible for the Osher Foundation scholarship ($2,500). Forty-seven percent of first-year students for the 2013-2014 academic year received the Pell Grant. The average amount was $4,720. California State University Channel Islands (CI), located in Camarillo, California, is the newest Cal State campus, established in 2002. About three-quarters of enrolled students receive financial aid. Academic scholarships include the President's Scholars program, which offers up to four years of full tuition to outstanding high school students who major in business. There are also transfer scholarships for community college students who come to CI to study business, math or science. The CSU Channel Islands Foundation also awards a variety of scholarships. California residents with family income up to $150,000 may apply for the Middle Class Scholarship and those covered by Deferred Action for Childhood Arrivals can apply for California Dream Act funds. The school also has a work-study program. Now offering its students more than 134 bachelor's and master's degrees with 110 concentrations, San Jose State University has grown far beyond its humble beginning as a normal school for the expanding western frontier. The average financial aid package is $14,881 for the 2014 academic year, and usually consists of a combination of loans, federal grants, university and departmental scholarships and work-study options. Forty percent of freshmen received the Pell Grant, with an average amount of $4,553. Students with excellent academic performance, demonstrable financial need and who have overcome personal hardships may be eligible for the California State University Trustees' Award for Outstanding Achievement. Starting out as a training facility for elementary school teachers in 1897 with 7 faculty members and 91 students, San Diego State University now has over 35,000 students, a faculty and staff numbering 7,700 and 191 degree programs. The average first-year financial assistance package is $10,300, which typically includes scholarships, loans, grants and work-study jobs. Thirty-four percent of students received the Pell Grant (2013), with the average grant amount coming to $4,504. The Office of Educational Opportunity Programs and Ethnic Affairs supports low-income students and first-generation college students and has several financial assistance packages available to qualified students. The university makes financial aid available for eligible Compact Scholars with demonstrable financial need. Founded in 1899 as a two-year teacher training college, San Francisco State University was the first normal school in the country that required a high school diploma for admission. Students with financial need and demonstrated academic achievement may be eligible for the University Scholarships, which awards $500 to $3,000. Economically or educationally-disadvantaged juniors and seniors are considered for the Costco Scholarship, while entering freshmen or continuing undergraduates with demonstrable service to the Asian community may qualify for the Dr. Gloria Hing Scholarship. Both scholarship programs award amounts that are equivalent to the tuition fee at the time of disbursement. Upper division students with financial need and strong leadership history may be eligible for the New Leader Scholarship (up to $8,000/year). University of California-Merced is the campus of University of California located in Merced, California, and they offer both undergraduate and graduate degrees. There are many scholarships available specifically to UC Merced undergraduate students, transfer students, and graduate students. Many students also pursue external scholarships. Students may also participate in the Federal Work Study program by working part-time on campus. UC Merced does offer a Deferred Payment Plan that allows students to pay their tuition and fees in three installments. Students who are transferring from California community colleges qualify for the UC Merced Transfer Admission Guarantee (TAG) provided they have completed specific courses and their grade point averages meet minimum requirements. Established in 1961 with 274 students in leased buildings in Rohnert Park, Sonoma State University is now a 269-acre campus with over 9,000 students and offering 46 bachelor's degree programs, 15 master's degree programs, 9 credential programs, and 8 certificate programs. Incoming freshmen from low-income families or who are first-generation college students may qualify for the CSU Future Scholars Scholarships. The Presidential Scholar Program guarantees $1,000 for incoming freshmen with a 4.0 GPA. Students enrolled in the Department of Engineering Science may be eligible to receive one of 10 $3,000 merit-based scholarships from the Agilent Technologies Foundation. International students can apply for the Benson International Student Awards, a one-time award given during an international student's first semester at SSU. Orange Coast College in Costa Mesa, California is a community college that boasts famous entertainment industry alums like Diane Keaton, Patrick Warburton and Steven Seagal. The college provides financial aid to 55% of full-time beginning undergraduates, with this aid coming primarily from governmental, private or institutional grants and scholarships. Students who are members of the Phi Theta Kappa honor society are eligible for several scholarships, including the $1,000 Leaders of Promise Scholarship and the Beta Mu Alpha Chapter Scholarships, which range between $500 and $1,500. Institutional scholarships are available to continuing and transfer students as well, and the school awarded over $360,000 in scholarships to these students in 2013. Thanks to the availability of need-based grants, an affordable degree (dare we say cheap?) at a great California college is possible. Most of the University of California (UC) and California State University (CSU) system schools and a generous helping of smaller colleges provide institutional aid to low-income students. California is also the home of the Cal Grant and the Middle Class Scholarship—two strong state financial aid packages that we talk about below. California does not have a statewide formal transfer articulation agreement, but California students planning to transfer college credit still have plenty of options. With a transferable core of courses, campus articulation guides, and guaranteed transfer of associate degrees, it’s possible for California students to transfer most, or all, of their college credits to a new institution within the state. California offers a transferable core of lower division courses at selected public institutions. A 1998 statute guarantees that a student who has completed the transfer core curriculum will be accepted as having completed all lower division general education requirements for the University of California and California State University. But while the lower division core may be accepted at California’s major university systems, only California State University offers guaranteed transfer of associate’s degrees. This guaranteed transfer is offered through the Degree with a Guarantee program. In this program, community college students who complete an associate’s degree will be guaranteed admission to the California State University system and enter with junior standing. For other transfer situations, the most comprehensive guide to student transfer information is the Articulation System Stimulating Interinstitutional Student Transfer (ASSIST) website. This website is the official source for transfer information for colleges and universities in California. Using ASSIST, you can explore transfer information to see how course credits can be applied when you transfer to another institution. This resource also allows students to explore majors to learn more about specific majors, including preparation and transfer from community colleges. The road to a cheaper college degree in California doesn’t end with the FAFSA! You should also make a pit stop at the California Student Aid Commission (CSAC). This is the place to go for particulars on state student aid and CA higher education grants, including the all-important Cal Grant. On CSAC’s website, you’ll find helpful instructions on how to apply for a Cal Grant, useful information about the Cal Grant GPA Verification Form, news about California Cash for College workshops and lots of financial aid resources. Have specific questions? Call a CSAC representative toll-free at 1 888 CA GRANT (1-888-224-7268). Are you a non-citizen who has attended a California high school? The second website to visit is the California Dream Act. If you’re not eligible to file a FAFSA, this is the application that you will use to apply for Cal Grants, institutional Dream Act financial aid and BOG fee waivers for California community colleges. For more information about applying for the California Dream Act and useful tools, check out the Educators for Fair Consideration California Dream Act page. Whatever your citizenship status, you can track & monitor your Cal Grant and Chafee Grant applications at WebGrants 4 Students (WGS). Once you’ve created your account, you’ll be able to view your award status, update your address, post leave of absence requests and/or make a school change. Other useful resources include CaliforniaColleges.edu, which provides planning tools, info on transferring credits, financial aid advice and answers to individual questions; CCCApply, which is the online application site for California community colleges (English & Spanish application forms are available); and I Can Afford College, which offers a step-by-step guide to finding financial aid for CA community colleges. Summary: Cal Grant C awards are intended for low- or middle-income students who are enrolled in a vocational, occupational or technical program at a Cal Grant eligible school. Certificate and associate degree programs must be of least 4 months to 2 years in length. Cal Grant C awards can be used for tuition and fees, and include an additional amount for annual book and supplies. Eligibility: You must meet all of the general eligibility requirements for a Cal Grant—please see our section on Cal Grants: Important Info (above) for all the details. How to Apply: Follow CSAC’s instructions on how to apply for a Cal Grant. Basically, you’ll need to file your FAFSA (or CA Dream Act Application), find out whether you need to submit a Cal Grant GPA Verification Form to CSAC and create an account at WebGrants for Students so you can monitor your award status. Summary: Cal Grant Competitive Awards are intended for students who have not been given an Entitlement award but who still meet the general Cal Grant eligibility requirements. Awards are based on a student’s GPA and FAFSA information. There are 2 deadlines: 1) March 2—12,875 competitive awards are offered to CA community college, CSU, UC or eligible private college students. 2) September 2 —12,875 competitive awards are offered to students who are enrolled at a California community college for the fall term. Cal Grant A awards are given to low- or middle-income students with a 3.00 high school GPA (minimum) who are enrolled in academic programs of 2-4 years in length. Cal Grant A awards can only be used for tuition and fees. If the grant is awarded at a California community college, it will be held in reserve for up to two years until the student transfers to a 4-year school. Cal Grant B awards are given to low-income students with a 2.00 high school GPA (minimum) who are enrolled in an academic program that is at least one year in length. Cal Grant B awards can be used for tuition and fees, but they also include an additional Access Award amount for living expenses during a student’s sophomore, junior and senior years. Cal Grant C awards are given to low- or middle-income students who are enrolled in occupational/technical and non-transferring associate degree programs. Certificate and associate degree programs must be at least 4 months to 2 years in length. There is no GPA requirement, but a submitted GPA offers additional points in the competition. Cal Grant C awards can be used for tuition and fees, and include an additional amount for annual book and supplies. These awards are only offered during the March 2 deadline. Eligibility: You must meet all of the general eligibility requirements for a Cal Grant—please see our section on Cal Grants: Important Info (above) for all the details. It’s important to note that these awards are not currently available to Dream Act Applicants. How to Apply: Follow CSAC’s instructions on how to apply for a Cal Grant. Basically, you’ll need to file your FAFSA, find out whether you need to submit a Cal Grant GPA Verification Form to CSAC and claim your award electronically using WebGrants for Students. Summary: High School Entitlement Awards are awarded to current high school seniors and last year’s high school graduates. Award amounts are based on GPA, financial need and college of attendance. Cal Grant B awards go to low-income students with a 2.00 high school GPA (minimum) who are enrolled in an academic program that is at least one year in length. Cal Grant B awards can be used for tuition and fees, but they also include an additional Access Award amount for living expenses during a student’s sophomore, junior and senior years. Summary: Transfer Entitlement Awards are awarded to students who plan to transfer directly from a CA community college to a 4-year university that offers a bachelor degree in the award year. You have to go straight from community college to a 4-year degree—there can’t be any gap of time between. Award amounts are based on GPA, financial need and college of attendance. Cal Grant A awards are given to low- or middle-income students with a 2.40 community college GPA (minimum) who are enrolled in an academic program that is 2-4 years in length. Cal Grant A awards can only be used for tuition and fees. Cal Grant B awards are given to low-income students with a 2.40 community college GPA (minimum) who are enrolled in an academic program that is at least 1 year in length. Cal Grant B awards can be used for tuition and fees, but they also include an additional Access Award amount for living expenses during a student’s sophomore, junior and senior years. How to Apply: Follow CSAC’s instructions on how to apply for a Cal Grant. Basically, you’ll need to file your FAFSA (or CA Dream Act Application), find out whether you need to submit a Cal Grant GPA Verification Form (based on 24 completed units) to CSAC and complete a Transfer Entitlement Certification form at WebGrants for Students. Summary: Cal Grants are the biggest and best-known category of California’s state grants for students. Examples include Entitlement Awards, Competitive Awards and C Awards. Some Cal grants only cover tuition; some will help you pay for room & board and expenses. If you’re lucky enough to qualify for the most generous Cal grants, you may be eligible for $10,000+ in student aid. And you don’t have to pay it back! How to Apply: CSAC has laid out the exact steps for how to apply for a Cal Grant on its website. Award money comes from state funding, so it’s recommended that you file your FAFSA (or CA Dream Act Application) and find out whether you need to submit a Cal Grant GPA Verification Form to CSAC as early as you can. If you wait until the last minute, the funds may have gone to other students! Summary: Chafee grants are based on financial need and expressly intended for youth who are—or were—in foster care. Eligible candidates can receive up to $5,000 a year to help pay for career and technical training or college/university. Eligible schools include both California schools and schools in other states. You may even be able to use some of the grant money for expenses such as transportation, child care and rent. Be below the age of 22 as of July 1st of the award year. Be enrolled at least half time. Enroll in a program at least one academic year long. How to Apply: You’ll need to file your FAFSA (or Dream Act Application) and submit the California Chafee Grant Application online. You can view and monitor your Foster Care Eligibility status on WebGrants for Students. After you’ve submitted your application, the California Department of Social Services (CDSS) will verify your foster status. (If CDSS isn’t able to verify your status, CSAC may ask you to complete a Foster Care Eligibility Certification Form.) Your school may also need to submit a Chafee Need Analysis Report (NAR). CSAC will notify you if you receive an award. Summary: These need-based grants are intended to help students who want to enter the field of child care and development. Students must agree to provide one year of full-time service in a licensed children’s center for each year they receive the grant. Eligibility: You must be enrolled at least half-time in coursework leading to a Child Development Permit as a teacher, master teacher, site supervisor or program director. How to Apply: Your college/university will handle the initial application. Ask the Financial Aid Office for an application form and information—once you’ve submitted your grant application to your school, the school will forward the info to CSAC. Summary: LEPD is a need-based grant given to dependents and spouses of law enforcement officials who have been killed in the performance of duty or totally disabled as a result of an accident or injury caused by external violence or physical force incurred in the performance of duty. LEPD awards are designed to match the amount of a Cal Grant award and range from $100-$12,192 for up to four years. How to Apply: In addition to filing your FAFSA, you’ll need to complete a LEPD application form, available on the CSAC website. Summary: The MCS helps students pay for tuition and fees at a University of California (UC) or California State University (CSU) campus. The scholarship is based on funding allocated by the State Budget and only granted to undergraduate students with family incomes up to $150,000 and a maximum annual household asset amount of $150,000. Students whose families earn $100,000 or less per year are eligible for scholarships that cover up to 40% of mandatory system-wide tuition and fees. Students whose families earn between $100,001 and $150,000 per year are eligible for scholarships that cover no less than 10% of mandatory system-wide tuition and fees. CSAC will use your FAFSA to analyze the money you’re receiving from federal, state and institutional aid before it determines your final award amount. How to Apply: All you need to do is file your FAFSA (or Dream Act Application)—no separate application form is necessary. Summary: APLE was a loan forgiveness program that was designed to support students (teacher training), district interns and currently credentialed teachers willing to work in specific K-12 teaching positions (e.g. subject shortage areas) in certain California public schools. The state stopped funding this program in 2013, but we recommend you check back with the CSAC website. There are rumbles that the program may be revived. Summary: Like APLE, SNAPLE was a loan forgiveness program funded by the state of California. It was intended to help nursing faculty (SNAPLE NF) and nurses in state facilities (SNAPLE NSF) pay back student loans for nursing degree programs. Funding ceased in 2012. Summary: CNGEAAP helps eligible National Guard applicants pay for up to 100% of fees at UC, CSU or a California community college. It can also be used for eligible California proprietary and public institutions. The Office of the Adjutant General selects up to 1,000 participants for the program (or as many participants as the annual budget will allow). Summary: Under this waiver, dependents of veterans killed or permanently disabled in the line of duty or declared MIA don’t have to pay for mandatory system-wide tuition and fees at a California community college, CSU or UC campus. However, the waiver does not cover expenses such as books, room & board, parking, etc. Eligibility: There are 4 plans under which dependents may be eligible. Please see the CalVet website for complete details on each category. How to Apply: First, see if you’re eligible for this waiver by using the College Fee Waiver Calculator. Once you’ve verified your eligibility, download an application on the CalVet website and proceed to your local County Veterans Service Office. Need help? Contact the Admissions Office or the Veterans Affairs office of your chosen school. Summary: This program waives non-resident fees for certain veterans, activity duty members and military dependents at California community colleges, CSU campuses and UC campuses. In other words, if you qualify, you may only have to pay in-state/resident tuition rates for your degree program. How to Apply: You can apply for a waiver through your school. Contact the Admissions Office of any California community college, CSU or UC campus. Contact the California Department of Veterans Affairs for more info on educational benefits for active U.S. armed service members and veterans. Sometimes it feels impossible to live cheaply, take care of a family and afford to go to college. If you’re struggling to pay for basic services like rent, food, utilities and healthcare, please don’t feel like you have to give up your education. There are lots of state government programs that are designed to support residents. As a first step, you may want to search for services on the California Department of Social Services (CDSS) website. The CDSS has information on the CalFresh Program (food stamps), cash aid, refugee assistance, youth employment and training programs, transitional housing and more. Need to talk to a real person? California 211 is a free information service that can connect to you to a statewide network of social service providers. You can call 2-1-1 at any time (24 hours a day, seven days a week) to get help with health and human service problems, joblessness and disaster relief. They’re great at answering all kinds of questions. We’ve also listed local non-profit organizations in our city sections below. In certain situations, on-campus housing may turn out to be cheaper than sharing an off-campus apartment. To begin with, you’re saving on commuting costs, grocery trips and utility bills. What’s more, rooms are typically furnished and buildings are up-to-code. The UC system is particularly strong in the housing department. For instance, according to U.S. News & World Report, around 40% of students in UCI, UCLA and UCSD live in college housing of some kind. If you’re interested in on-campus housing, check out your university’s housing website. You may find you have more options than you originally thought. For example, CSUN has unfurnished units available for students with families, with a communal pool, children’s playground and recreation room. Student veterans at UCSB are guaranteed university-owned housing. On the other hand, financial aid packages often only cover tuition and fees and dorm bills continue to climb across California campuses. When in doubt, talk to your school’s residential life/housing coordinator or the Financial Aid Office about your financial situation. You may be eligible for private scholarships or work-study jobs that will cover room & board. Budget calculators on MappingYourFuture.org and CalcXML.com can also help you compare on-campus costs (meal plans, dorm fees, etc.) with off-campus bills (groceries, gas, utilities, etc.). Thanks to a jump in college prices, a lot of California students are turning to commuter schools or off-campus options to save money. (California State and community college alumni know this firsthand.) The best place to start your search is—believe it or not—your school’s website. Most California colleges have a page devoted to affordable off-campus housing options, with advice on rental agreements, landlords, utilities and more. Some schools have even hooked up with partners to provide entire websites: UCI Off-Campus Housing, CSULB Off-Campus Student Housing and CSUC Off-Campus Housing are just three examples. You also have the option to go surfing. Along with browsing through Craigslist for cheap apartments, you might want to try websites like CampusRent.com, ApartmentGuide.com and MyApartmentMap.com. These allow you to search in your school area. If life hits you with a crisis, the California Homeless Shelter Directory includes emergency shelters and transitional housing opportunities. Before you put your signature on any California rental agreement, it’s important to know what utilities (e.g. sewer) your landlord is willing to cover and which ones you’re obligated to pay for (e.g. water, power, Internet, etc.). Ask for a monthly estimate of utility bills or talk to former residents to learn what the averages are. Are you living at home and unable to afford your water or electric bills? Keep getting disconnected? Check out the California Department of Community Services & Development (CSD) website. CSD provides help with paying utility bills (LIHEAP), solar systems for low-income households, drought assistance for low-income workers and much more. The CSD also has a county map of services in your area. Almost every California school has a student health center with affordable services—you’re entitled to use it! The larger (and better funded) the university, the more sophisticated the offerings. For example, UCI’s Student Health Center has licensed primary care physicians, dentists and nurses on staff, with various specialists available for consultation. There is an on-site pharmacy and radiology imaging. But even a small school like Whittier College will provide gynecological exams, injury treatment, annual physicals, free OTC medications and more. Even if you can’t use the student health center (e.g. you don’t meet the unit-per-semester requirements or your family needs healthcare), you still have options. Both NeedyMeds.org and FreeClinicDirectory.org can help you find community clinics and health centers that offer free or affordable medical care in your California city. Experiencing a mental health crisis? Most student health centers provide free or cheap counseling; some—like UC Davis—have a 24-hour hotline staffed by mental health specialists. When that fails, you can get help from the Mental Health Association in California or contact your County Mental Health Department for assistance. The Mental Health Crisis/Suicide hotline is 1-800-273-8255. Finding good dental care can be trickier. Sometimes health insurance doesn’t cover procedures, or your college health center doesn’t have a dentist on staff. If you find yourself in this position, check to see if there’s a School of Dentistry in your area. For example, USC’s Norris Dental Science Center accepts patients without insurance and charges significantly less than private-practice dentists. The California Dental Association (CDA) and FreeDentalCare.us also have great directories of clinics that offer free or discounted dental services to those in need. Going to college and raising a family is hard. In a single-income California family, 40% of the budget may have to go towards child care. Even worse, state child care subsidies are hard to come by. Big universities have on-campus child care centers, but you still have to pay for it. When in doubt, talk to your university about whether you qualify for income limits. For example, places like CSUF Children’s Center and UCSD Early Childhood Education Center offer state subsidized child care. Your other option is to visit the Child Care Resource Center (CCRC). Here you’ll find a complete list of all state and federally funded child care programs, including California State Preschools, Head Start, center-based and family child care homes. California is the land of the car, and many low-income students find it hard to fuel up and still stay solvent. When push comes to shove, you may need to a) move closer to school or b) look into alternative methods. If b) is your choice, take a look at your school’s Transit or Transportation website. Along with timetables for free campus shuttles and buses, you’ll find info on carpools, vanpools, ride-sharing, bike rentals & sales and links to student deals. Just to take one example, UCI has teamed up with the Orange County Transportation Authority (OCTA) to offer the University Pass Program; this 24/7 monthly pass is 80% off the regular price. Going to a community college or a school without big money? No matter what college you attend, lots of city and state transportation companies have specific deals for students. For example, Metro offers a discounted College/Vocational Monthly Pass to Los Angeles County residents. Students can also get 20% off Greyhound travel and 40% off shipping with the Greyhound Student Advantage Discount Card; students ages 13-25 save 15% with the Amtrak Student Discount. None of these options are perfect in a state without great public transport, but they’ll help here and there. California colleges and universities have finally latched onto the fact that students are going hungry to pay for college, and they’ve started to do something about it. CSU campuses, UC campuses and two dozen community colleges in California operate food pantries. Search your university’s website to find opening hours and learn about restrictions (if any) for use. If your school can’t (or won’t) help, community-based organization will be happy to welcome you. FoodPantries.org has a long list of California Food Pantries and HomelessShelterDirectory.org has a similar database of CA soup kitchens, pantries and food banks. New moms or moms-to-be might also want to see if they qualify for the California WIC Program. The city of angels is full of two things—traffic jams and ridiculously priced real estate. Sperling’s Best Places puts the cost of living index for housing at almost three times the national average. Bunking with other students and using public transportation will help with some of the bills; you might also want to draw up a budget to compare average neighborhood rents and commuting costs. General information for LA residents can be found on the City of Los Angeles website. Living on the cheap in LA is a challenge, especially if you’re already dealing with issues at home (e.g. homelessness, food shortages, losing your car, utilities being cut off, etc.). Whatever your circumstances, there are non-profit organizations that can help you achieve your educational goals. The Los Angeles County Housing Resource Center provides up-to-date listings of affordable, emergency and special needs rentals throughout the county. Use their median family income calculator (income, expenses and family size) to decide if you can afford to live in an area. Many Mansions is a non-profit that owns and manages 500+ affordable housing units for low-income individuals and families in Ventura County. Supportive housing is available for individuals and families who were homeless and/or have a disability. Other services include job development, financial education, children’s programs and monthly food bags. Brotherhood Crusade is a grassroots organization that supplies social services to more than 100,000 low-income residents of South Los Angeles. Those services include college prep, vocational training, youth mentoring, gang reduction initiatives, food & health festivals and sports camps. El Nido Family Centers offers counseling and family support services to disadvantaged communities throughout Los Angeles County. Programs include teen parent family services, youth development programs and family support services. This is a small sample of great organizations in the city. For more help, you can call 2-1-1 or search by category (e.g. education, food, etc.) in the directory of Los Angeles, CA non-profits on CharityBlossom.org. Like its big brother (LA), San Diego suffers from high housing costs, buses stuck in traffic and pricey electricity bills. On the plus side, the weather is great for biking and scooters, it’s possible to get by without air conditioning (in some places) and the surfing is excellent. General information for San Diego residents can be found on the City of San Diego website. Living with your family in low-income housing? Juggling single parenthood and daily bills? Struggling to get by on food stamps and state subsidies? Here are a few San Diego non-profit organizations that can make your dreams of college achievable. Reality Changers helps low-income San Diego youth become first generation college students. It runs 3 programs: College Town (weekly tutoring and support for 8th-11th grade students), College Apps Academy (counseling and guidance to 11th and 12th grade students) and the Alumni Network. Family Health Centers of San Diego (FHCSD) provides affordable healthcare and support services, with a special commitment to the uninsured, low-income and medically underserved. There are clinics throughout the city. South Bay Community Services has a wide variety of social service programs to families in the South Bay area of San Diego County, including affordable housing (400+ units), emergency shelters, youth development, education (e.g. preschool) and family support services. San Diego Nice Guys assist families who are finding it hard to meet’s life demands. This is usually one-time assistance—e.g. help with paying for a medical bill, a car repair, clothes needed after a house fire, a wheelchair for a young man injured while being a Good Samaritan, etc. Again, this is just a smattering of what’s out there. For more help, you can call 2-1-1 or search by category (e.g. education, food, etc.) in the directory of San Diego, CA non-profits on CharityBlossom.org. Thanks to Silicon Valley, San Jose can be ridiculously expensive—according to Sperling’s Best Places, housing costs in San Jose are 4 times the national average and utilities are also above the norm. Mass transit isn’t great and most folks drive a car. (Some students turn this to their advantage by acting as Uber and Lyft drivers or making deliveries and running errands.) You can find general info for residents on the City of San Jose website. It can be frightening living in a city like San Jose on a limited income. If you’re in danger of being evicted, struggling to preparing for college, unable to eat or just need a little extra help to get by, there are a bundle of San Jose non-profits that can help you afford to survive. One Degree is a free website that connects low-income families and individuals with the right nonprofits and charities (e.g. food, health, housing, etc.). HomeFirst and San Jose Cityteam help individuals, veterans and families who are homeless or at risk of becoming homeless. Sunnyvale Community Services provides one-time financial assistance (e.g. to prevent eviction, pay for medical bills, keep utilities on, etc.) and weekly food aid programs for Sunnyvale residents in need. There are lots of other organizations out there. For more help, you can call 2-1-1 or search by category (e.g. education, food, etc.) in the directory of San Jose, CA non-profits on CharityBlossom.org.